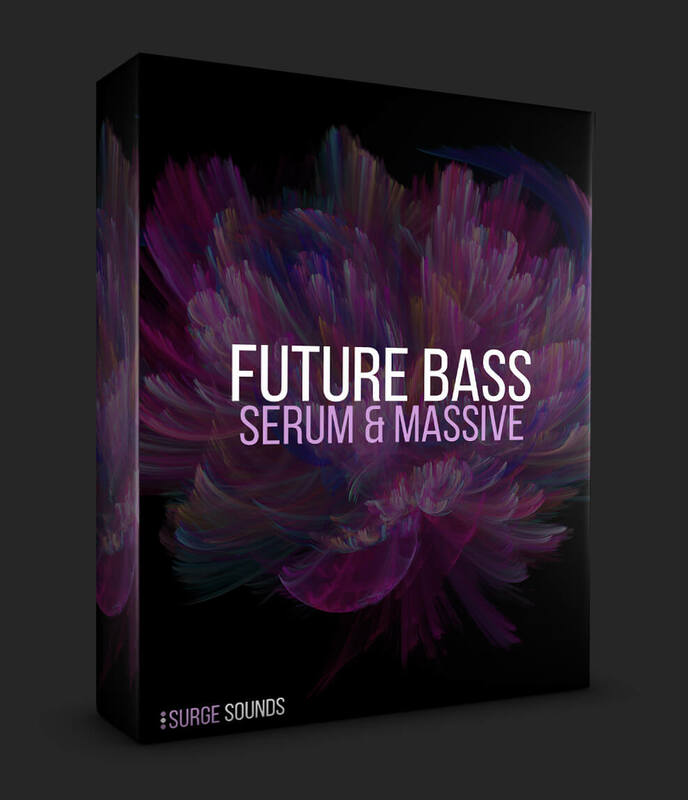 Inside this soundbank you will find a whopping 250 Future Bass Presets crafted to boost your productions to the next level! 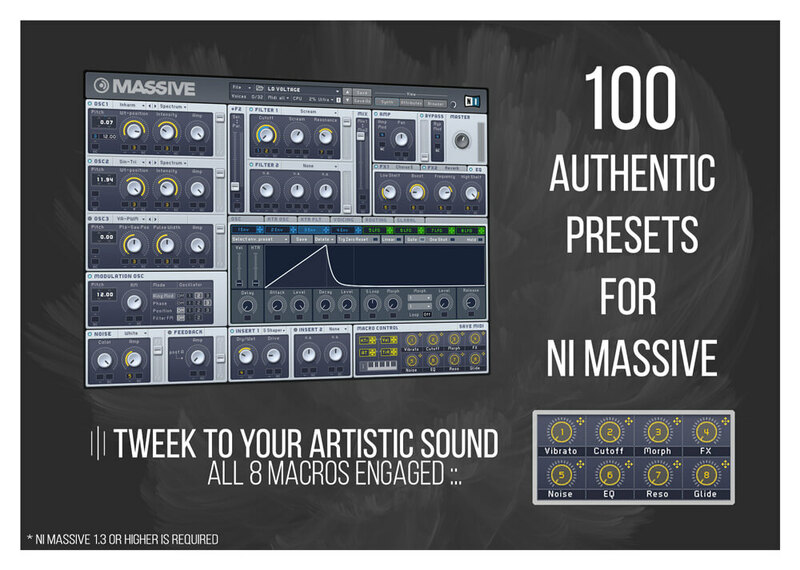 150 cutting edge patches for Xfer Serum and 100 ground breaking presets for NI Massive, all which were expertly crafted to surpass the current creative boundaries. 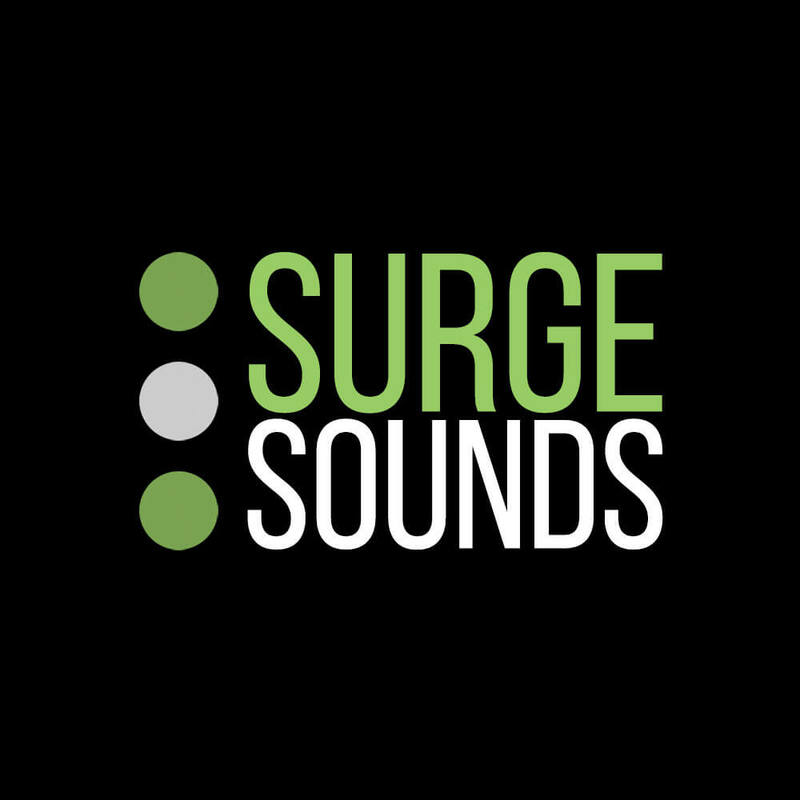 Influenced by ground breaking artists like Flume, San Holo, MYRNE, Wave Racer and many others, every patch was designed to create an extraordinary Future Bass genre bender. Inside you`ll find 78 Future Bass MIDI Chords in 6 popular Future Bass keys all ready to be dropped in your next production. 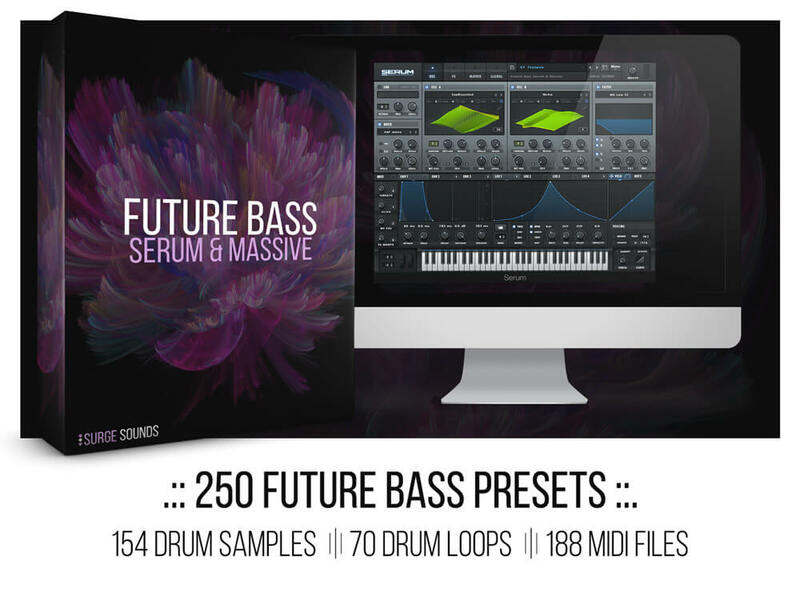 If all that wasn’t enough we included 40 Future Bass Kicks, 40 Snares, 50 Claps and 24 HiHat samples. 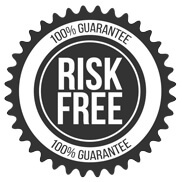 A total of 154 bonus drum sounds.  All drum samples were processed with cutting edge studio techniques and are production ready. Plus we created a total of 70 drum loops in 8 different BPMs and included all the MIDI so you can mix it up! We guarantee that what you hear in the demo is exactly what you`ll get so grab this pack today! 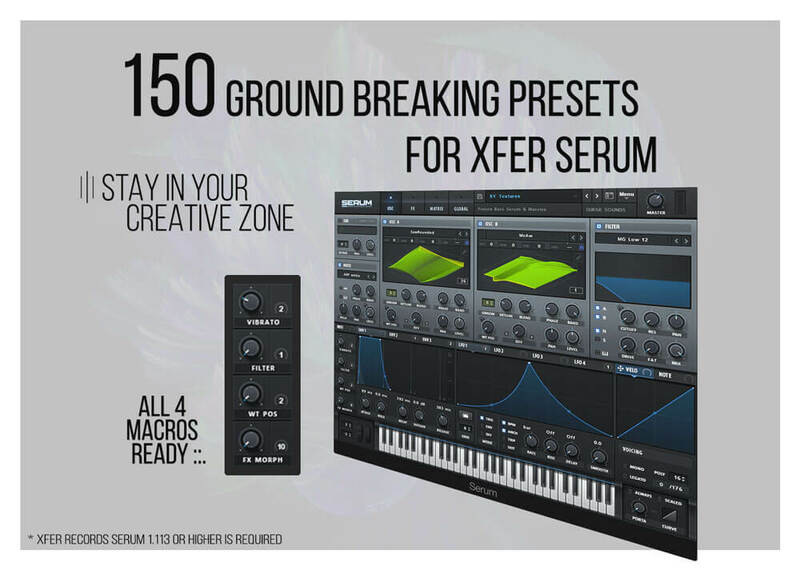 Start producing ground breaking tunes with these mind blowing sounds!